Now host your celebrations with our party bus rental services in Mississauga. We strive to serve the clients with our grand limo party bus packages in most competitive rates. No matter you want to enjoy birthday party, prom night, corporate event, bachelor or bachelorette party, night out, wedding party or any sporting event, we are always there to make it memorable and fun for you. All the clients are privileged with our signature VIP treatment. We recruit and train our chauffeur team in the most professional way for assuring highest standards of services. We believe in providing a fusion of entertainment and safety in all our party bus rental packages. Our immensely personalized services provide the individuals with an opportunity to celebrate their special moments in a regal manner. But it doesn’t mean that they have to pay a luxurious cost for such services. Clients can definitely find our prices the most flexible and compatible across Mississauga. Enjoy an amusing party on wheels experience in Mississauga with your close friends with our accommodative and luxurious party bus rental solutions. Our extravagant party buses, tour buses, shuttle buses and super stretch limos are perfect for accommodating large number of passengers with ultimate convenience. We are working with one of the largest and extremely striking fleet that is designed carefully following the latest ground transportation trends. We complete underline the importance of your special events, and this is the reason we work in close collaboration with the clients to offer excellent services. In order to cater the immediate demands of clients, we offer a user friendly and 24/7 supported website for getting online quotes and reservations. 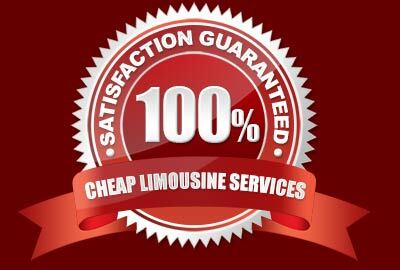 A completely licensed and spotless fleet awaits you in amazingly reasonable rates. Call us anytime and let us cater all your party travelling demands with our unmatched services. Reservations are open throughout the year providing unprecedented service round the clock. We have been the supreme provider of first class personal and corporate Party Bus rentals in Mississauga for more than 16 years and continue to grow in both business and popularity. Our competent professionals and astonishing fleet of superlative party buses blend together to bring forth a one of its kind limo service in Mississauga. Browse through our responsive website for additional details or contact our customer care representative for any type of queries.